White velvet with gold piping. Purple velvet with bright gold piping. Black velvet with lt blue piping on gown. Lt. blue velvet with matching piping on hood. CapsAndGown.com ... where price, quality, and quick delivery come together, for the benefit of the customer! 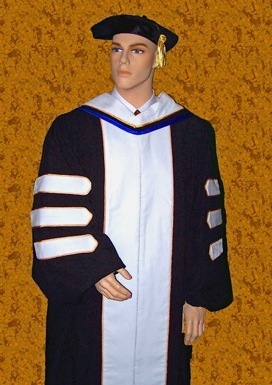 Are you purchasing a doctoral gown? 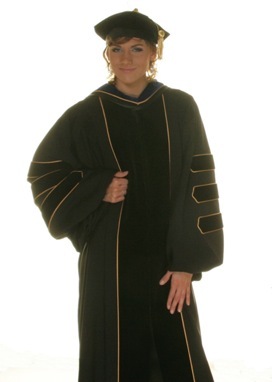 Are you purchasing a doctoral hood? School and City you graduated from (some universities have several campuses. We need to know which campus you graduated from, as often the colors vary from one to another). 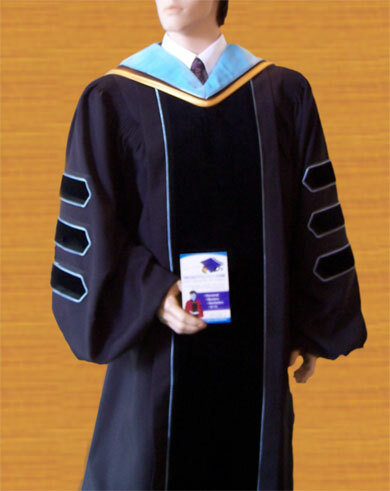 Exact degree (Ph.D., or Doctor of...,) Remember that all Ph.D. holders receive the dark Ph.D blue velvet regardless of the discipline/specialty of their Ph.D. whereas bachelors/masters/doctors (non Ph.D) would receive their degree color. Are you purchasing a doctoral tam? If there is anything different or special about this order (such as optional piping on gown) we need to know about, be sure to let us know. If you would like us to send you loaners if your regalia will not be ready by the date needed, please indicate here together with your need date. For example, if your gown and tam was ready (in stock) but your hood needed to be special made, then we would send you your gown and tam and a loaner hood right away and then send your hood as soon as it was ready. This way you would still have what to wear now. Then upon receiving the actual hood, you would return the loaner hood back to us. 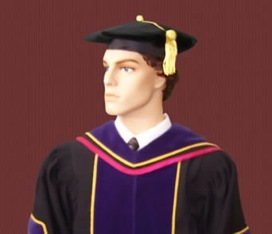 There is no charge for loaners provided you return them upon receiving your actual regalia. But we do need you to indicate that you want the loaners and the date needed. or print and FAX IT to us. or print and MAIL it to us with a check.